When I bypassed university to go straight into financial planning, those around me were worried that I would not get the same opportunities without a degree under my belt. However, it was very much the right decision for me and I am proud to have developed my career to date by helping people to achieve their own goals in life. I am now a Director at Eldon, heading up the client services team. Twelve years ago I began in the firm by working on technical research and report writing. I gradually increased my knowledge and skills by working alongside the three founding Directors who became highly qualified before it was mandatory. 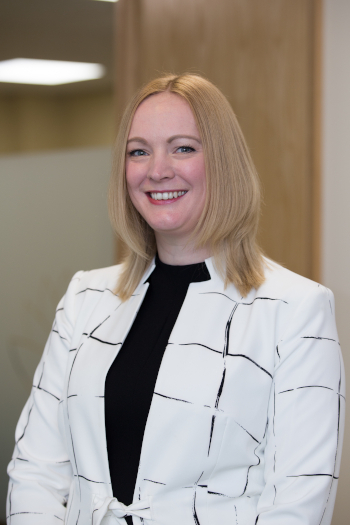 I combined my full time job with study to gain the professional qualifications equivalent to an honours degree, becoming one of the youngest to attain Chartered Financial Planner status. I also reached the international benchmark of Certified Financial Planner with the Institute of Financial Planning, am now a Chartered Wealth Manager, and simultaneously held the national titles for technical planning from both our professional bodies in 2012/13. I have had other accolades too. I enjoy establishing long-lasting relationships with clients, helping them to live their lives the way they want to, but my particular forte is undertaking technical research and putting together strategies for our clients. Outside of work I enjoy spending time with my husband Jamie and young daughter Holly at our home in Teesdale. I like to read and enjoy live music and the theatre. I am an ‘adrenaline junkie’ at times, having completed an 11,000 foot sky dive, a bungee jump from Middlesbrough Transporter Bridge, a 9km white water rafting run in Peru, and several abseils. Charity work is another of my passions. In 2010 I trekked the Peruvian mountains and Amazon rainforest raising £4,000 for Breast Cancer Care and in 2011 I led a team that took on the Oxfam Trailtrekker. In 2016 I took part in the ‘CEO Sleepout’ to raise awareness of homelessness and raise money to fund a training restaurant on Teesside.